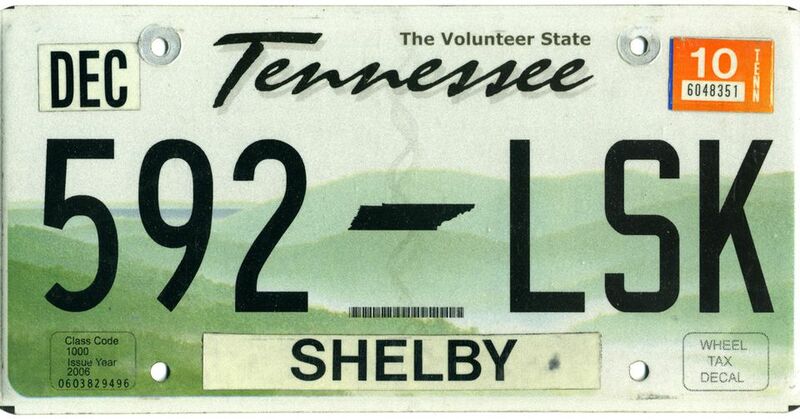 Annual vehicle registration is a fact of life, and if you live in Tennessee there are a number of ways to do it, and fortunately for Shelby County residents, it's a lot easier and a little cheaper than it is for their Memphis neighbors. If it's time to register or re-register your car in Shelby County, including in Bartlett, Germantown, Millington, and Collierville, here is what you need to know. The state of Tennessee requires that all cars, trucks, and motorcycles be registered annually, with the exception of antique cars that are used primarily for showcasing as a collector's item; however, Shelby County residents who do not live within Memphis city limits are not required to have their vehicles inspected. You may register or renew your registration by mail, online, or in person at any number of Department of Motor Vehicle offices. As their hours of operation are subject to change, it's a good idea to call the office of the Shelby County Clerk, which is in charge of DMV-related issues before you make the trip. You must be a resident of Tennessee to apply and must have proof of residency, no matter which method of renewal you choose. In order to apply for a registration renewal, you will need to provide at least one form of primary identification or two forms of secondary identification, along with your car's street number and license plate number. Acceptable forms of primary identification include a U.S photo driver's license or photo ID card or license from another country (including an International Driving Permit), an original or certified birth certificate, military identification, any Immigrations and Customs Enforcement documentation (including Certificates of Naturalization and Citizenship), a Marriage Certificate, an Adoptive Decree, and any Legal Change of Name documentation. Secondary identification includes computerized check stubs, union membership cards, work IDs, financial institution documents, social security documents, health insurance cards, IRS and state tax forms, and military records including assignment orders, Leave and Earnings statements, and selective service cards. Along with online access via the Shelby County Clerk's office website or mailing in your renewal application, you can also travel to one of the office locations at Poplar Plaza, Germantown, Whitehaven Plaza, Millington, Raleigh-Frayser, or Mullins Station Mondays through Fridays (excluding holidays) throughout the year. Renewals typically cost between $87 and $112, though can go as low as $76 for renewal-only services. The cities of Barlette, Germantown, Memphis, Millington, and Collierville charge city fees. Other associated fees include title fees, wheel taxes, and registration fees, though these often vary from city to city and per type of vehicle whose registration is being renewed—motorcycles cost less while business-owned vehicles entail an additional fee. These fees are subject to change, so please visit the Shelby County website to confirm current fees.